Alisa Carreras is a UC Berkeley graduate from the program of Theater, Dance, and Performance Studies. Upon graduation she was awarded the Mark Goodson Prize for Theatrical Talent in 2016. Her training includes Ballet, jazz, contemporary, and modern. 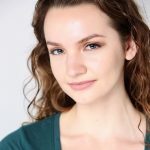 Alisa has had the privilege of participating in excellent summer intensive programs including the Mark Morris intensive, La Contemporary Dance intensive, and Bodytraffic intensive. She has performed work by notable Bay Area choreographers Jo Kreiter, Amara Tabor Smith, and Katie Faulkner. Alisa is an apprentice with LA based bollywood dance company Blue13 and is thrilled to be on staff at Dance 1!